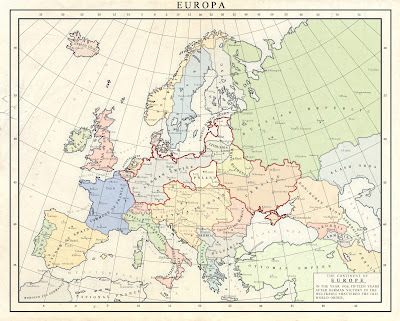 This map shows the status of Europe following the victory by the Central Powers. 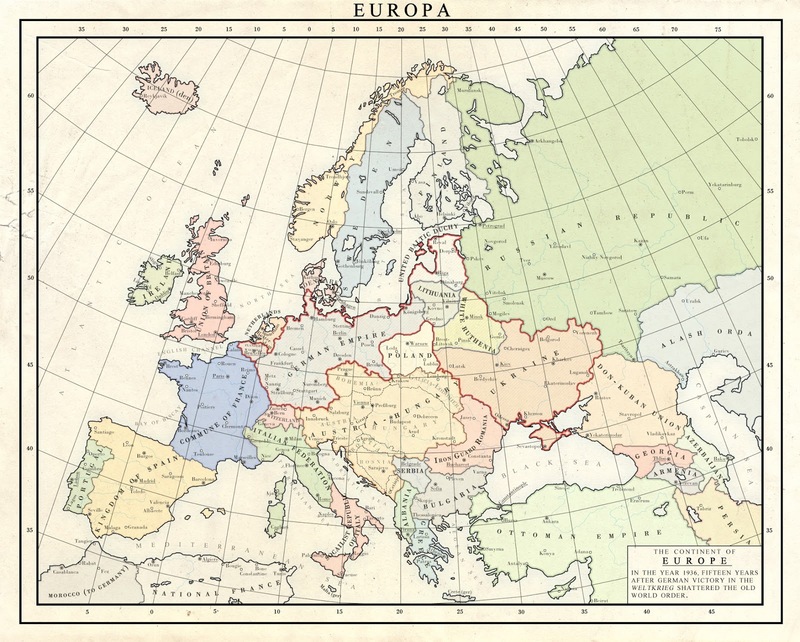 You can already tell by looking that the former states of the Entente have seen better days (see the Northern Ireland-less Union of Britain), while Germany wields extensive powers thanks to their control of Mitteleuropa. The map itself is well-done. So many other maps of Kairserreich are just screenshots of the game, while you can see that Milites put more effort into his creation. Since I haven't played the mod I can't comment on any liberties Milites took in creating his map, but it looks good to me and I like the rumpled feel of the map, which makes it look like a real piece of paper. World War I alternate histories may not be as popular as its sequel, but I like the imagination that went into the map and I am glad to see people like Milites being inspired by a community made mod to create as well.